when I came upon this quote on pinterest, I immediately thought of my grandmother. she is the most beautiful person in the world, and reading this quote brought home to me just why she is that to me. she’s quite elderly now, with a hip long dislocated and never really fixed, wrinkles aplenty, and milky eyes, all of which are the reasons are why she’s beautiful. they are signs of the life she’s lived. they tell of the world war she lived through, of the 14 children she birthed and raised, of the time she went climbing up a tree to pick some leaves for lunch and fell, of the years of going without so that her family wouldn’t have to, of the fact that she did all of this with such a deep and unending well of grace and patience. I try to dig my own reserves of grace and patience a little deeper every day because of her. 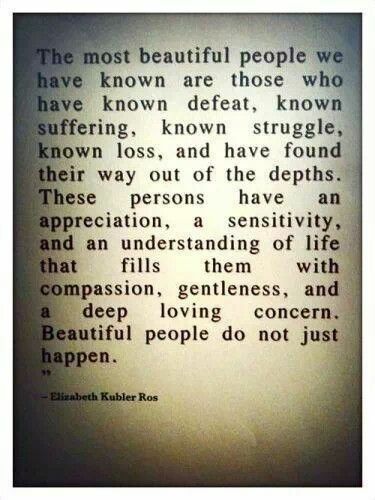 here’s to all the beautiful people in our lives.